Serena Williams made a triumphant Grand Slam return on Tuesday and advanced to the second round of the 2018 French Open, beating Kristyna Pliskova 7-6 (4), 6-4 in her comeback from a 16-month pregnancy absence. Rafael Nadal moved on in his title defence at Roland Garros, battling past Simone Bolelli to clinch a second-round spot. Nadal emerged a 6-4, 6-3, 7-6 (9) victor as the Italian put up a stubborn fight. Third seed Marin Cilic was among a group of big names who progressed to the second round after he beat James Duckworth in straight sets. No. 9 John Isner also failed to drop a set but was pushed hard in his victory over American countryman Noah Rubin, edging the 22-year-old 6-3, 7-6 (7), 7-6 (7). Meanwhile, Juan Martin del Potro came back from a set down to beat Nicolas Mahut and head into the next round, while Feliciano Lopez (28th seed) and Adrian Mannarino (25th) fell to Sergiy Stakhovsky and Steve Johnson, respectively. Maria Sharapova made her return to Roland Garros after three years away due to her drug suspension, reopening her French Open account with a tough 6-1, 4-6, 6-3 victory over Richel Hogenkamp. Sharapova is 28th in the women's seeds and will face Donna Vekic in the next round, while Garbine Muguruza (third seed) and Carolina Garcia (seventh) also advanced to the second stage. Angelique Kerber also made her French Open return and blazed past Mona Barthel in straight sets. 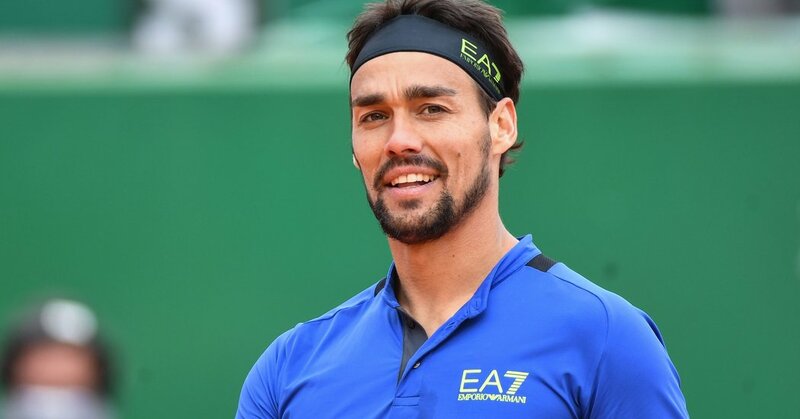 Read on for more discussion of Tuesday's first-round results from the French Open and highlights of the latest action at Roland Garros. Visit the Roland Garros website for the results in full. In her first major appearance since winning the 2017 Australian Open, Williams was effective, if not efficient, in her 7-6 (4), 6-4 beating of Pliskova. She said after the display she's happy to take her return slowly, per BBC Sport. "It's been two years since I played on clay," Williams said. "It's been a really long time, but I trained really hard on the clay. I feel good. I'm just happy to have won a match here. I'm just taking it a day at a time." Nadal's 80th match victory at Roland Garros required a gritty performance against Bolelli after the pair resumed on Tuesday, rain having called off their Monday evening clash with the Spaniard leading 6-4, 6-3, 0-3. The overnight break appeared to serve Nadal well as he won the first three games after resuming on Tuesday to tie 3-3 before grunting to a hard-fought tiebreak triumph, keeping his streak of set victories intact. Del Potro has a good draw at Roland Garros and could launch a title run if he can stay healthy, heaving recovered from a shaky start against Mahur to come out on top 1-6, 6-1, 6-2, 6-4. Isner served 28 aces in his straight-sets win over Rubin and faced only two break points in the match, both of which came at 4-4 in the third and final set as the more experienced American moved on.
.@cilic_marin, seeded a career-best  in a #GrandSlam tournament, fired 13 aces and hit 47 winners overall in a 63 75 76 victory over Duckworth #RolandGarros. He will face #NextGenATP Polish [Q] Hubert Hurkacz, who beat Sandgren 62 62 36 63 in #GrandSlam debut. Aside from the attention courted by Williams, Sharapova's return to the French Open drew an audience of its own, although that meant the nerves suggested by her mid-match wobble were also on full view. Kerber made it past the opening round of the French Open for the first time since 2015 on Tuesday, cruising past German countrywoman Barthel 6-2, 6-3 to set up a second-round showdown with Romanian Ana Bogdan. After a run to the semi-finals in Australia at the start of the year, this could signal the return to her best, although it will be her comfort on clay that's likely to decide how far she gets. She and seventh seed Caroline Garcia will be ones to keep an eye one, particularly after the latter demolished Yingying Duan 6-1, 6-0, sending a statement to the rest of the field as she took her place in the second round.